You are at:Home»News»iPhone sales set to rebound, but for how long? Apple results next week will likely show iPhone sales growing again, bucking a year of declines. That’s the good news. The bad news: the average selling price of the handsets in the key holiday quarter ending in late December may show customers settling for older iPhone 6s models, rather than the iPhone 7, introduced in September, according to some analysts. “Recent smartphone customers increasingly are opting for the iPhone 6s,” Barclays analyst Mark Moskowitz wrote in a note to clients this week as he downgraded his recommendation on Apple stock to hold. Apple is scheduled to report quarterly results on 31 January. Analysts currently predict an average selling price, or ASP, of $688 for the iPhone line in the holiday quarter, down from $691 a year earlier, according to estimates compiled by Bloomberg News. That’s even though the iPhone 7 Plus model costs $20 more than the iPhone 6s Plus when it was introduced. A new iPhone launch has in previous years consistently led to an increase in ASP. 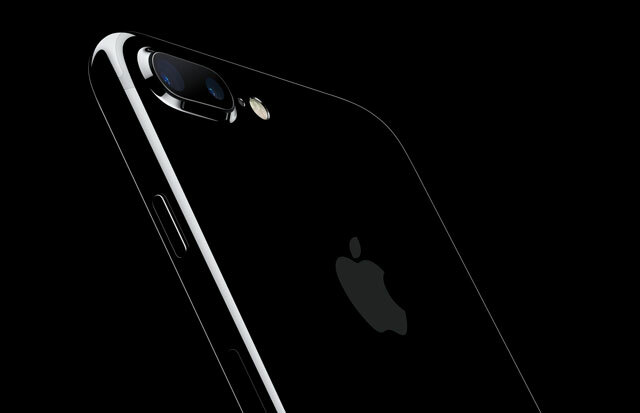 An ASP decline may suggest the iPhone 7’s better camera, faster processor, improved battery life and water resistance weren’t enough to draw customers away from the 6s. The trend would underscore concern that smartphone advances nowadays aren’t enough to maintain the bonanza iPhone revenue growth that the company used to enjoy. Apple’s revenue decline in the last fiscal year, which ended in September, represented the first such drop since 2001, as falling iPhone sales dragged down the total. Industrywide smartphone shipments were likely flat in 2016, according to researcher IDC. As recently as the second quarter of 2015, the market was growing more than 10%/year. Apple is likely to have sold about 76m phones over the holiday quarter, according to the average of analyst estimates compiled by Bloomberg News, up from 75m handsets a year earlier. Analysts expect revenue to rise 2% to $77bn, with surging sales from the App Store and Music streaming service compensating for any dip in iPhone takings. Even after revenue from services soared last year, the iPhone still accounted for almost two-thirds of Apple’s $216bn in annual sales. The handset’s importance means any ASP weakness will focus investor attention more keenly on the next iPhone, which is likely to be unveiled later this year, the device’s 10th anniversary. Demand for this model, which analysts tentatively dub the iPhone 8, 10 or X, will be gauged by Apple’s sales forecast for the three months through March. Should it fall short of the $54bn expectation, that may suggest slack demand for current products as buyers await the new model. “The iPhone 10 gives Apple a little bit of protection,” said Gene Munster, the co-founder of Loup Ventures and long-time Apple analyst.